If you’re looking to hire a professional housekeeper, you’re going to interview them. Of course, they’re going to tell you what they think you want to hear. 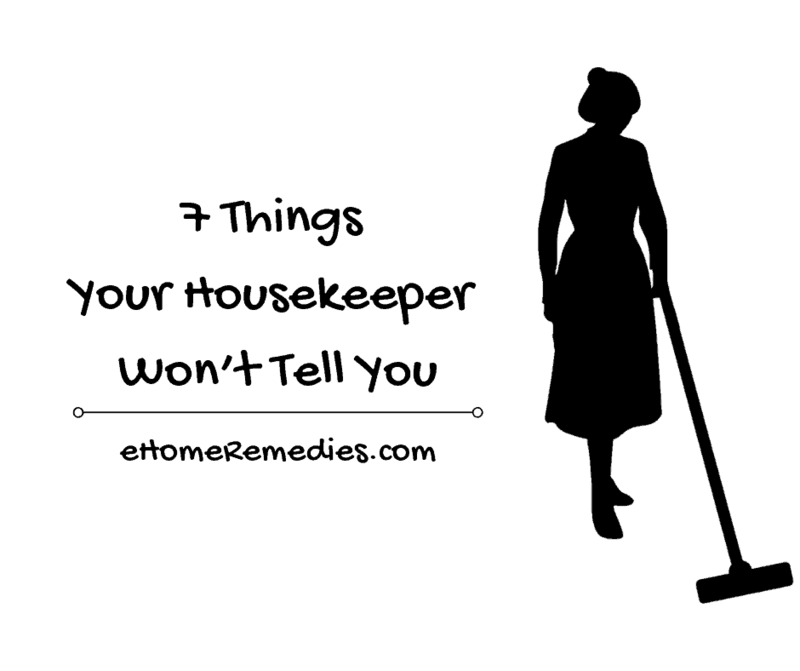 Here’s the scoop on what real housekeepers think – but won’t dare to say in an interview. Housekeepers understand that you have an allergy, or a chemical sensitivity, or that you prefer to use organic products. They really want to respect that. Here’s the thing. They have lots of customers. Keeping track of lots of products for lots of different people means that mistakes will be made. They don’t want that. You don’t want that. Please, buy your own cleaning products. It’s better for everyone. It’s amazing how far a little courtesy goes between people. A simple thank you can go a long way to show your housekeeper you appreciate what he or she is doing. It’s also the right thing to do when someone has just cleaned your toilet. Housekeepers get paid the same amount to clean your house whether it takes us 90 minutes or six hours. That doesn’t mean they like to cut corners. After all, we have professional reputations to uphold. What it does mean is that when they find a dresser covered in knick-knacks or paperwork, it’s more likely to get a quick feather-dusting than it is to get a deep cleaning. We’ve just talked about how housekeepers get paid by the house, instead of by the hour. That means they don’t have any time to snoop. We know the snoopy maid is a tried and true soap opera trope, and we’re sorry to disappoint you, but you’re not likely to catch your housekeeper going through your underwear drawer. One thing you might have to worry about disappearing when your housekeeper is around? Pet treats. They see your dog or cat on a regular basis, and they eventually become friends. Don’t be surprised if you come home and find your maid taking a break to pet your dog. Your animals will also get to know them, too, and become excited when they arrive. Have you ever felt the urge to spend an hour spilling the beans to your housekeeper about your sister’s divorce? According to the people we’ve talked to, some customers do this all the time. We’re not saying don’t do it. We’re just saying that if you do decide to do it, you’re not alone. If you’re looking to hire the best, you need to hire established professionals. Online listings aren’t always reliable, so your best option is to go with an established company. For companies like Simply Maid – house cleaning is their bread and butter. Their employees are reliable, background-checked professionals, so you know your house is getting the best treatment you can buy.